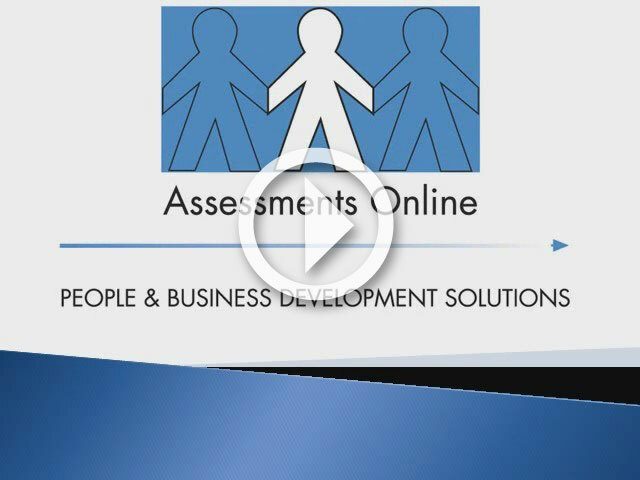 Established in 1997, Assessments Online specializes in importing, distributing, training and providing support on a number of internationally recognized People and Business Development tools & services. Working in association with test publisher & industrial psychologists’ AQR International, assessment applications include: job profiling, measuring potential, benchmarking, personal development, succession planning, identifying training needs analysis, recruitment tools, career guidance, evaluating intrinsic values, mental toughness evaluation & development, leadership style evaluation & development, behavioral profiling & HR related services. Our distributor network extends throughout the African continent & Australia, providing our clients with an option of either an outsourced/bureau service or the purchase of end-user & distributor licenses. We pride ourselves in providing our clients with a cost effective, fast, efficient online assessment service. Our turnaround time to provide clients with feedback is between 1 and 24 hours depending on the assessment conducted.